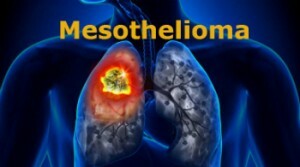 Mesothelioma is an excruciating cancer caused by asbestos. There is no cure, and most victims generally only live eight to 14 months after being diagnosed. Victims of this terrible disease are usually exposed to asbestos earlier in life from working in labor type jobs. If you or someone you love has been exposed to asbestos and has mesothelioma, contact our attorneys today for a free case evaluation, you may receive a large cash settlement from a mesothelioma claim. The U.S. Courts announced new measures to increase the disposition rate and decrease the backlog of asbestos cases. Some of these changes could benefit asbestos victims and resolve their cases quicker. However, it’s not all good news. Timing has always been crucial when dealing with mesothelioma cases. Whether a claim is settled in the victim’s lifetime or after their death can be important. It’s up to the attorney to decide whether the compensation would be increased if the settlement were delayed, or the other way around. If the case is the latter, the claim needs to be fast-tracked and pursued as quickly as possible. One of the changes made is how cases are grouped for trial. Consolidating cases can be a way to schedule trials faster. The court now limits consolidation to eight to 10 cases per trial group and trial dates will not be set until a group has at least eight cases. Of the eight cases, only around three will go to trial. The rest of the cases will settle, be re-grouped, or re-listed. Same law: Cases with laws of different states cannot be grouped together. Same disease: All cases in a grouping must be in the same disease category. The categories include: non-malignant cases, mesothelioma, lung cancer and other cancers. Same plaintiff’s lawyers: All cases must have the same lead trial lawyers. Due to the fact that asbestos diseases are extremely aggressive, it can be beneficial for the plaintiffs to resolve cases quickly. The quicker the case is dealt with, the faster the asbestos victim can begin to focus on their health. Punitive Damages: In most mass tort cases, punitive damages will be deferred. This is because of a concern that large punitive damages limit a defendant’s ability to pay future claims. Philadelphia adopted a practice of postponing punitive awards in asbestos cases for at least a year. Accelerated Cases: Some courts will place victims with urgent needs on a fast-track by expediting trials for a limited number each year. A few states are no longer allowing expediting of cases until 80% of asbestos cases are resolved within two years of filing, or unless most defendants agree. Just last year, an asbestos case in California was granted expedition under Section 36, even though three of the 15 defendants named in the asbestos suit opposed the petition. The victim was 71-year-old Gerald Boyd, who developed Mesothelioma and had been suffering with it for over two years. Boyd represents hundreds of other elderly victims of asbestos that could potentially require fast-tracking of a case, in order to receive financial compensation as quickly as possible before mesothelioma takes their lives. Auto brake workers, construction demolition workers, drywall workers, and shipyard workers are being exposed to asbestos that can lead to mesothelioma and lung cancer. If you or a loved one was diagnosed with mesothelioma, then you may be able to receive financial compensation. 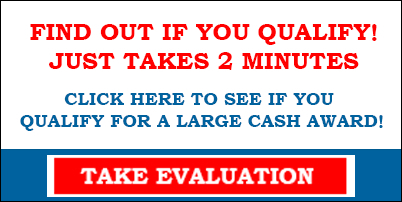 Click the banner below – it only takes 2 minutes to see if you qualify.